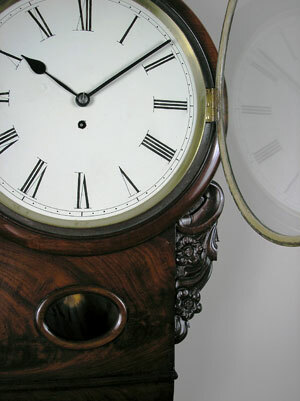 This is an unsigned 12 inch drop dial clock with a fusee movement, white painted dial, spade hands and long pendulum. 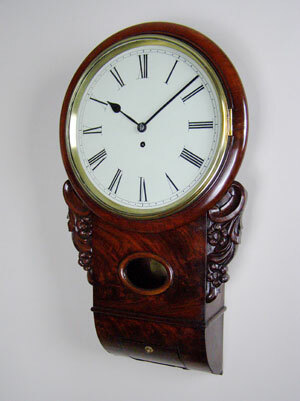 The mahogany case has an oval lenticle, a bottom door for pendulum adjustment and carved "ears". 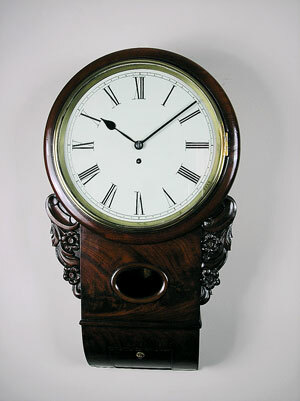 The clock has an eight-day duration and is glazed within a cast brass bezel.